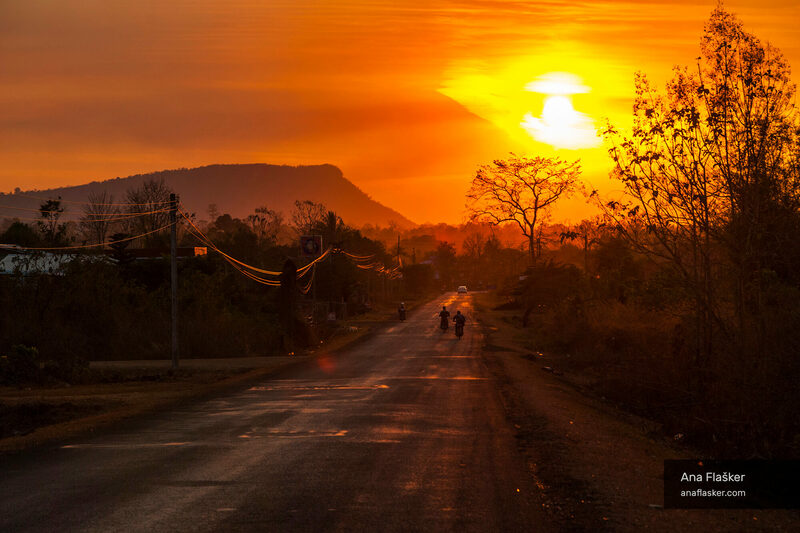 Most of the roads in Laos don’t have asphalt and it takes hours to travel 100 km away. The roads are not that chaotic as in neighbouring countries, but anything can jump on your way anytime – water buffalos, sheep, goats, truck, bus, people, motorbikes … In general everything what is bigger than you and is in front of you has a priority. Yes, even another motorbike coming from a small path on the main road. Those two motorbikes passed by when I stopped to enjoy the sunset.